Land of Enchantment: Billy the Kid-Treasure Hunter? No one man has captured the fascination of so many New Mexicans than Billy the Kid. Although he’s been dead for well over a hundred years his life is still fiercely debated and tall tales still abound about how the Kid supposedly killed a man for each year of his life and even how he once left two of his guns in the fork of an oak tree that has since grown with them in its center. 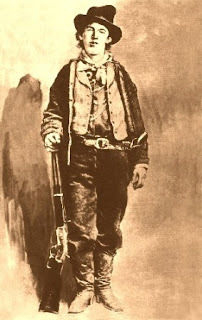 The most popular tales about the Kid, however, are the ones that insist that he wasn’t killed on the night of July 14, 1881, in Fort Sumner by Pat Garrett.